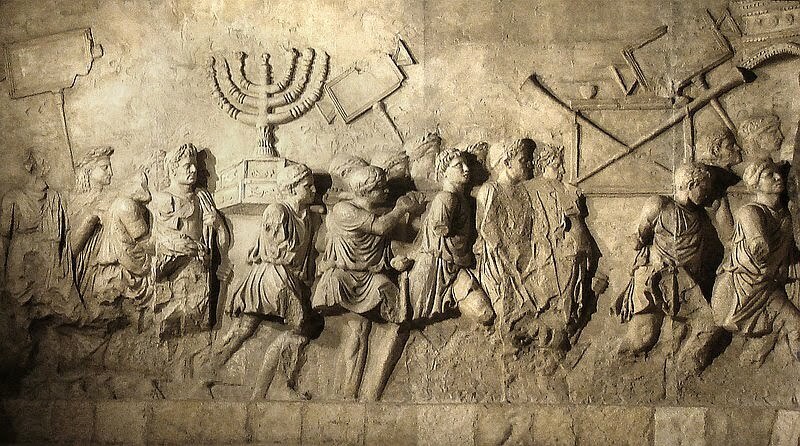 The land of Israel always stood in the way of new conquering powers: It was Greece in 332 B.C. and then Rome in 68 B.C. The Romans put a complete end to the Judean state in A.D. 70 with a great slaughter and taking them to captivity. The aforementioned powers conquered the land of Israel from the north. As always, marching armies create a refugee problem; consequently over a period of seven hundred years, hundreds of thousands of Israelites fled to the bordering African state of Egypt, and by the year 1 A.D., there were more than 1 million Hebrew Israelites in the three African countries of Libya, Egypt, and Ethiopia combined, with minor penetrations in the Sahara and West Africa. At this juncture of history, the highest concentration of Israelites was in Asia and Africa, but with the Roman era, there began a slow movement to Europe . The Romans transported Israelite slaves to the city of Rome and other cities in Europe . These black Jews built communities and synagogues, owned white servants, converted many of these servants to the Israelite religion, and intermarried with them. After hundreds of years in Europe , the Israelites became lighter and lighter in color; they began to call themselves Jews or Jewish people. They had practically no contact with the Jews of Africa and Asia . They spoke a new language called Yiddish; it is a German dialect written in the letters of the Hebrew alphabet and containing elements of Hebrew, Russian, Polish, and other languages. There developed a new culture known as Yiddish culture, modeled after European ways of life. When white supremacy developed in Europe during the sixteenth century, Jewish thought and life began to be flavored with it; this is evident in the white biblical pictures they made and their straightening their hair. 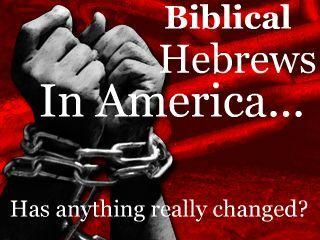 They used a different pronunciation in Hebrew, and their religious services changed considerably, compared to those of the Afro-Asian Israelites. They adopted European names such as Sakaloff, Pearlstein, Weinstein, Kleinbaum, Weizmann, and Jabotinsky instead of Hebrew names such as Yaakov, Yirmiyahu, Eshmelek, Shmuel, Ahaz, ans so forth. These Jews removed themselves so far from their once African homeland, that as a result, they began to think like Europeans in their new white skin. From then on they became known as Ashkenazi or German Jews. Most of these Ashkenazi Jews are found in Europe, Australia , South Africa (a racist country), Canada , and the United States . As the twentieth century arrived, the Jewish institutions in the European world perpetuated the concept that the biblical Israelites were white, to the point of forgetting that the Israelites were black. The Moors from Africa ruled Spain and Portugal for about 700 years, and the Jews in these countries were there even longer. When the Duchess L'Abrantes, the wife of Napolean's ambassador to Portugal was in that country, she commented that the Judeans and Moors looked alike. At this time, the Judeans were so dark that many whites thought that all Judeans were black. King John II of Portugal deported many of his Judeans to West Africa (Angola), and many settled in the West Indies. John Bigelow, who went to Jamaica in 1850, saw the offspring of these Judeans and said that they were black. The evidence shows that the Judeans in Europe up to 1850 were virtually black but died out. 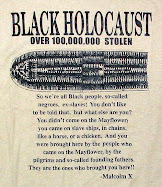 As a result, the white servants of these blacks converted to Judaism and became the new Jews.